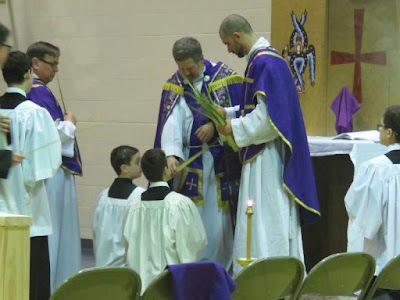 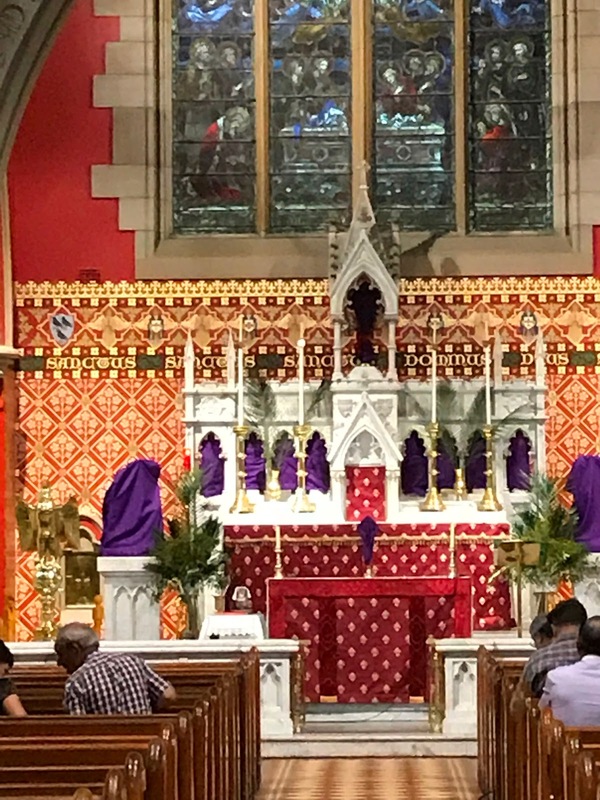 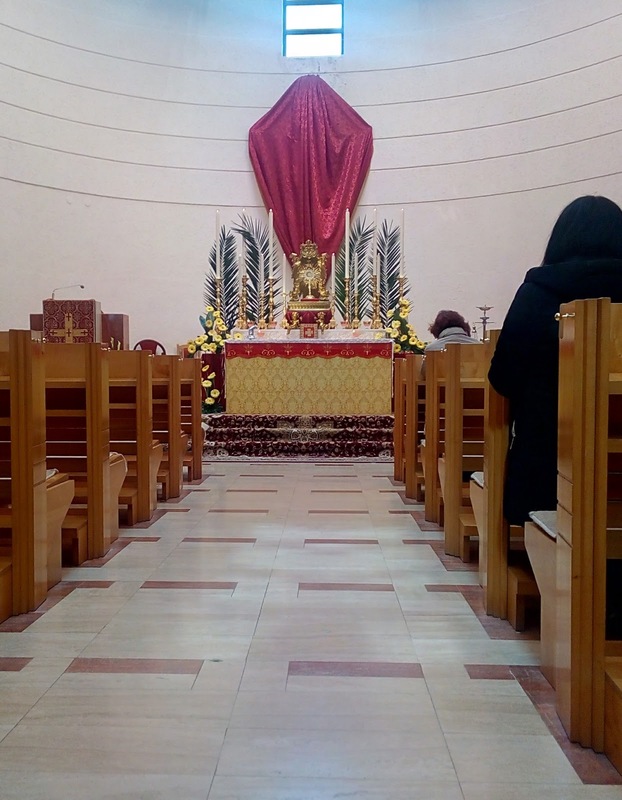 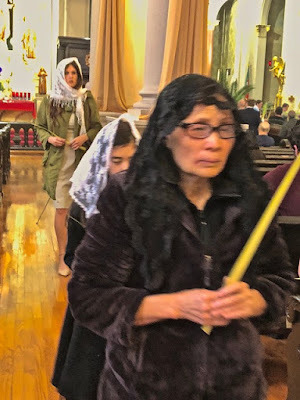 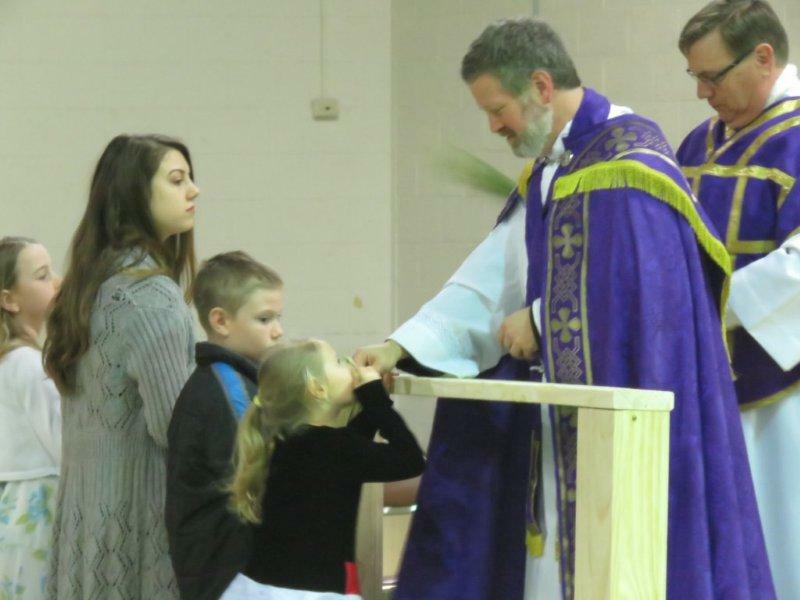 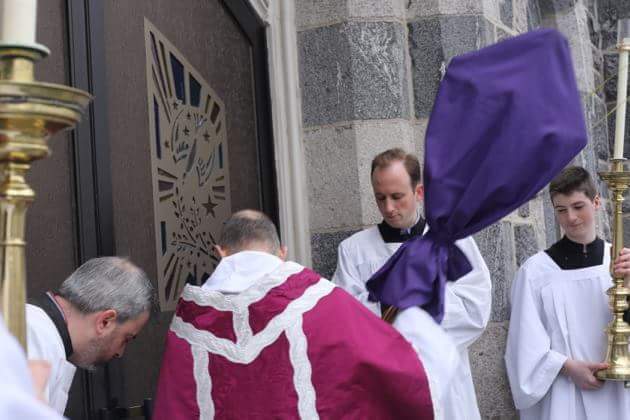 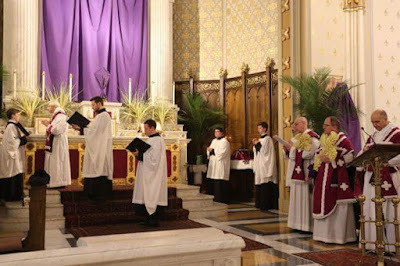 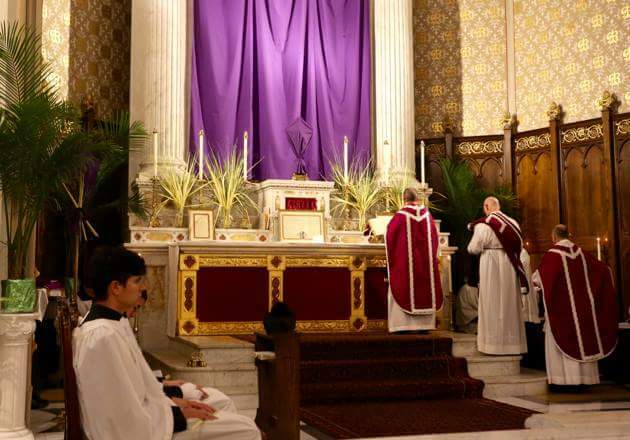 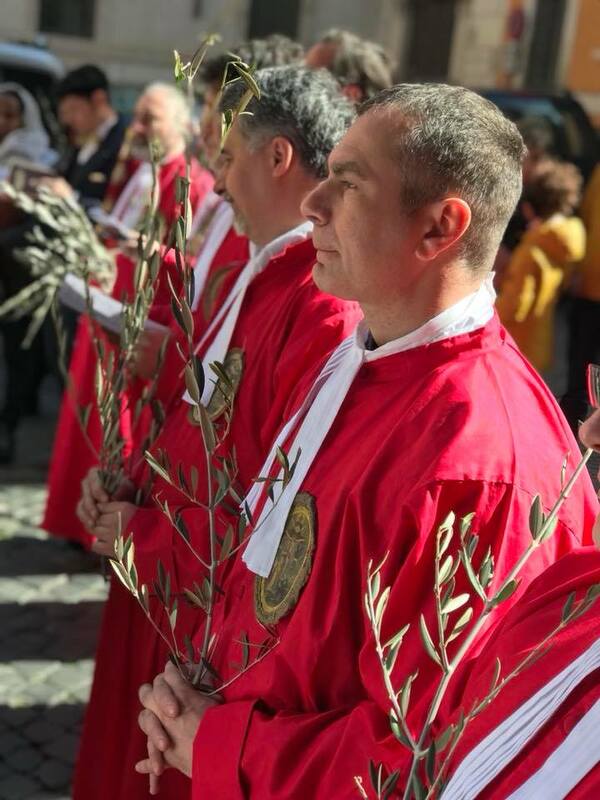 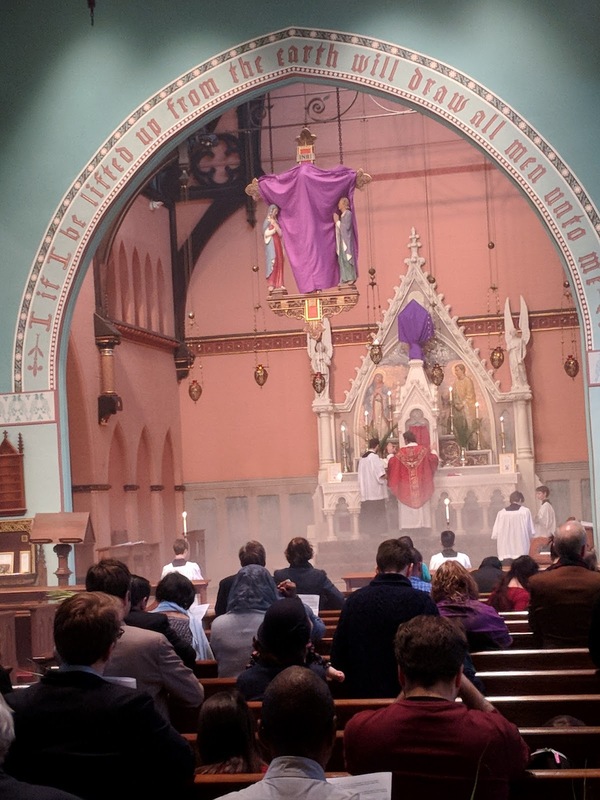 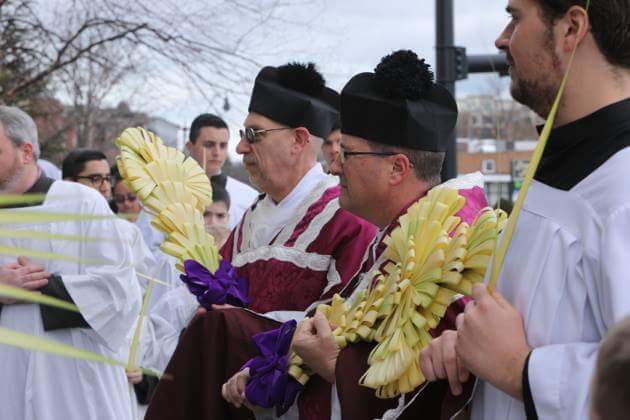 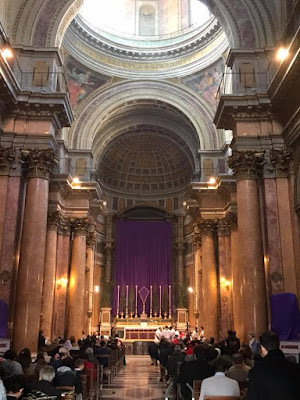 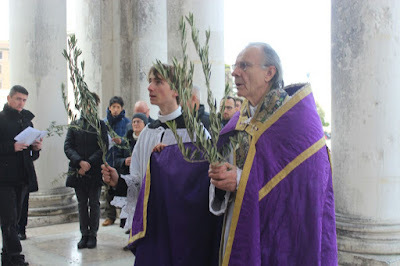 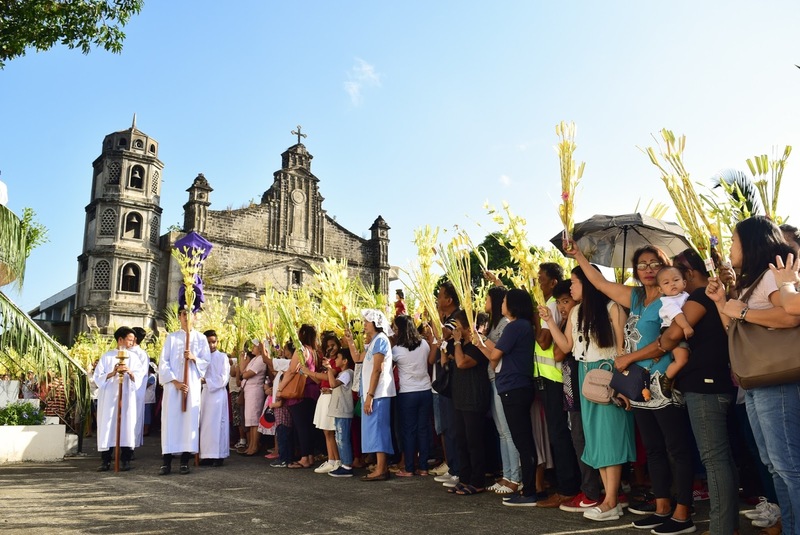 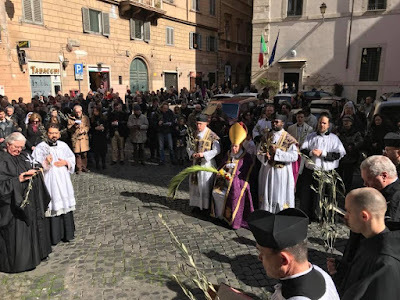 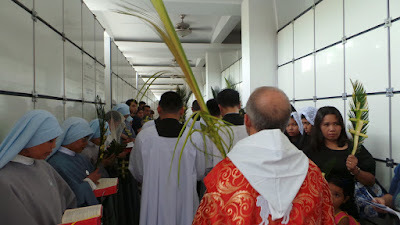 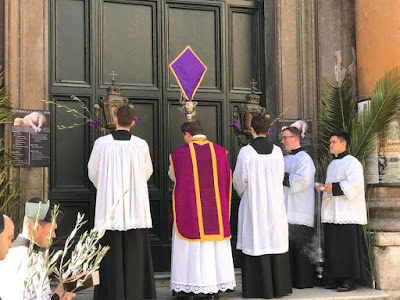 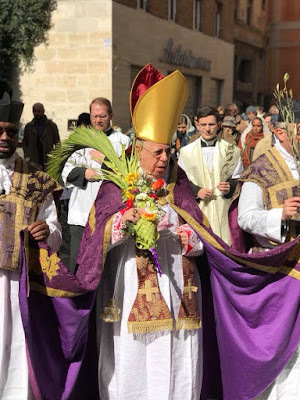 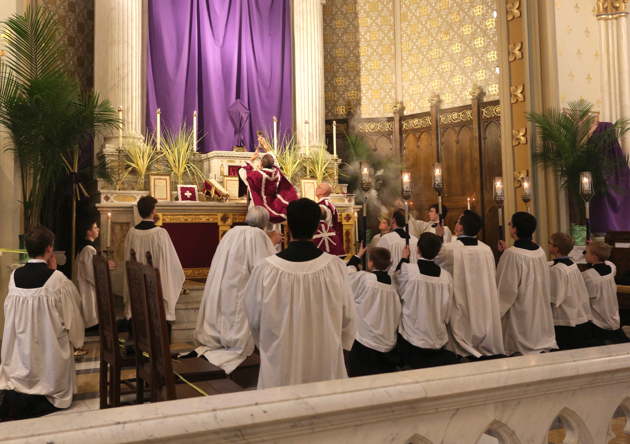 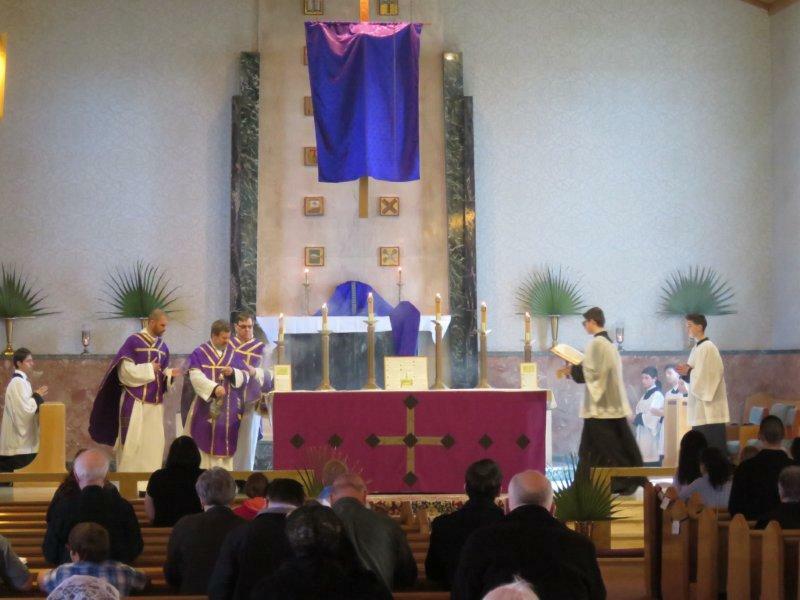 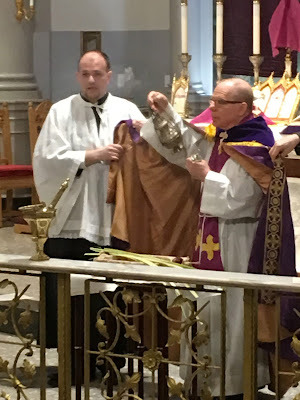 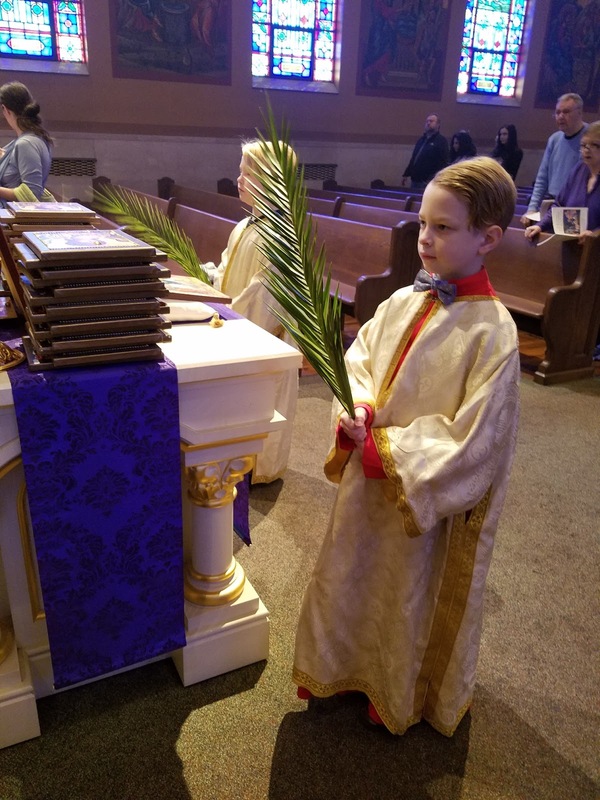 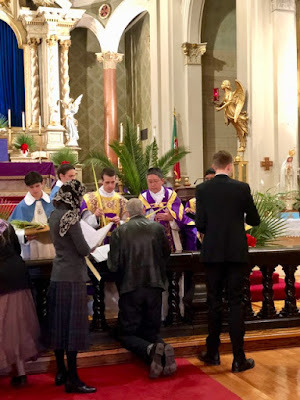 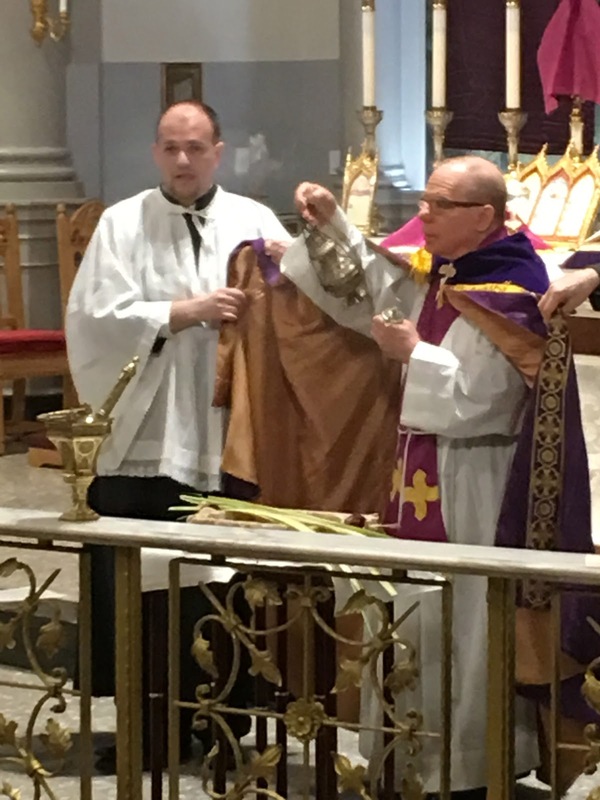 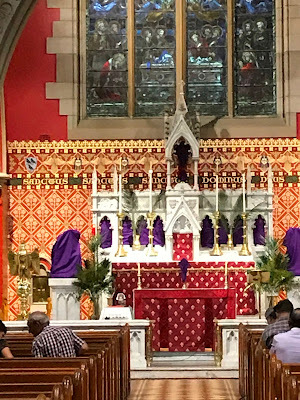 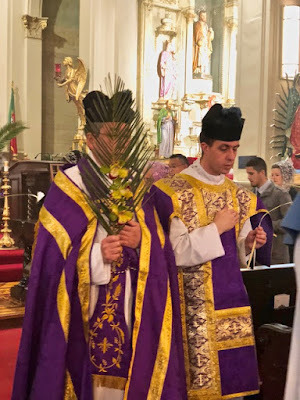 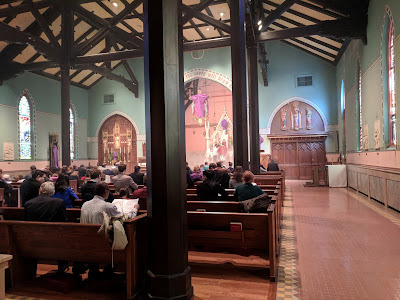 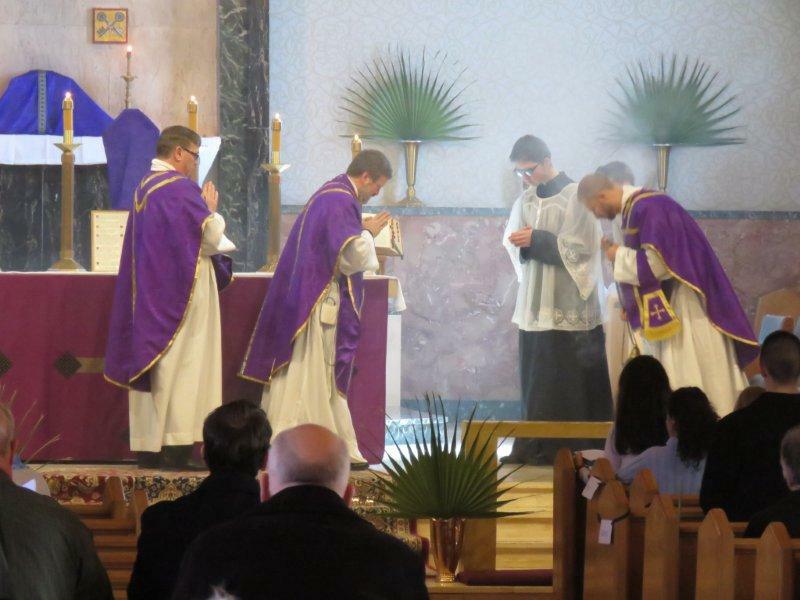 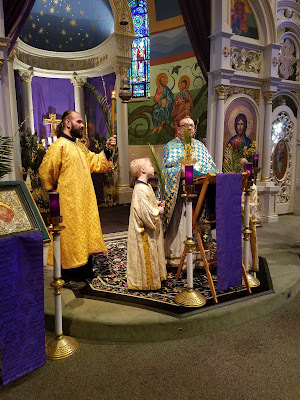 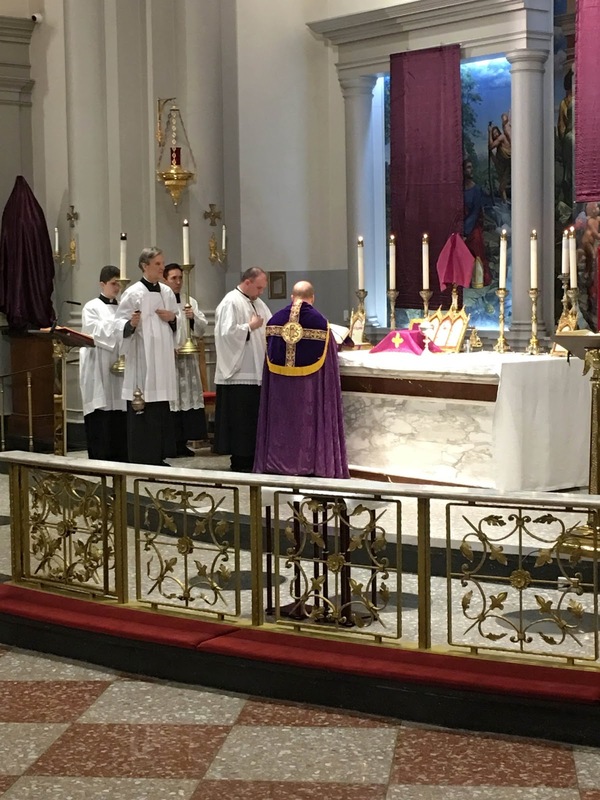 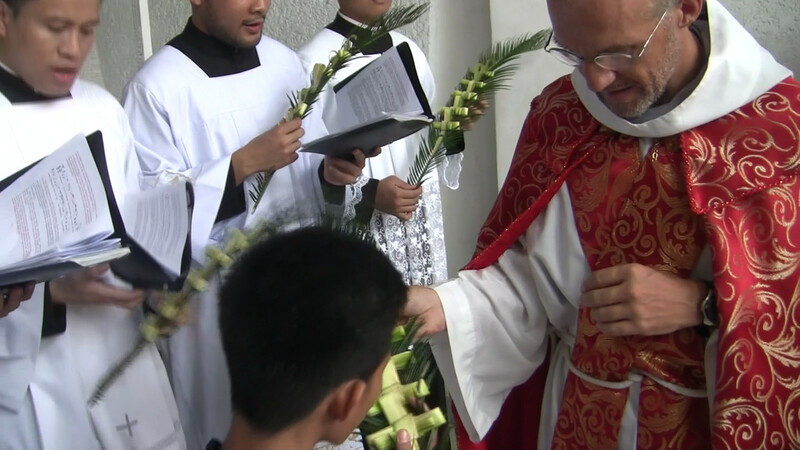 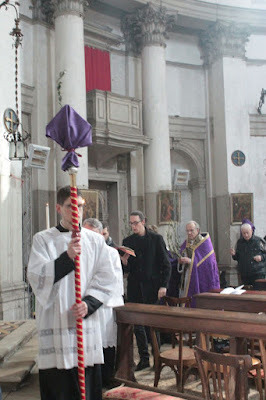 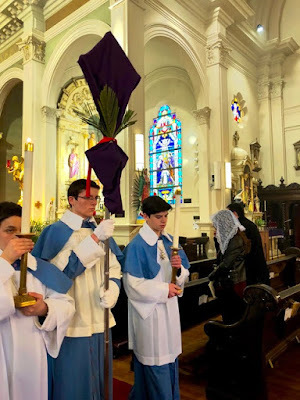 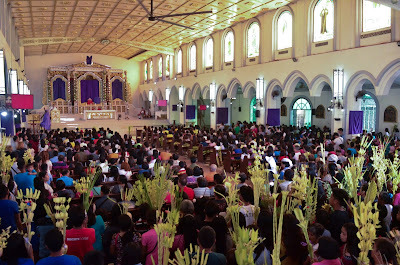 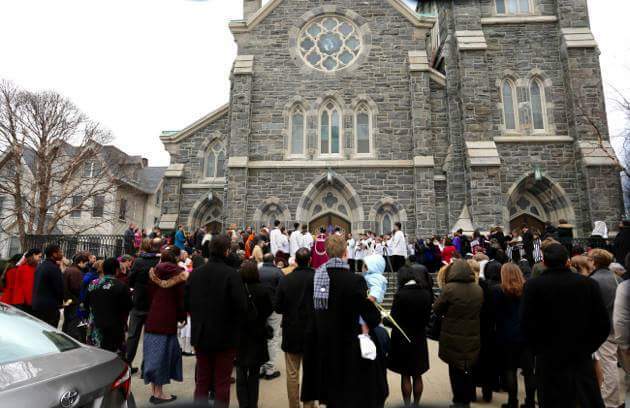 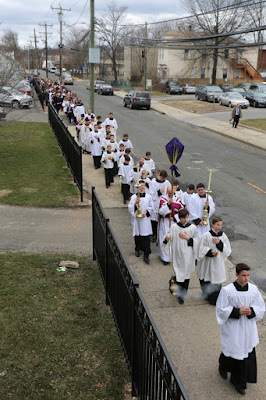 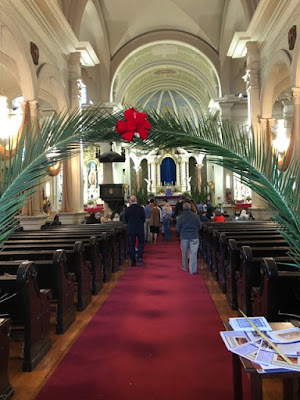 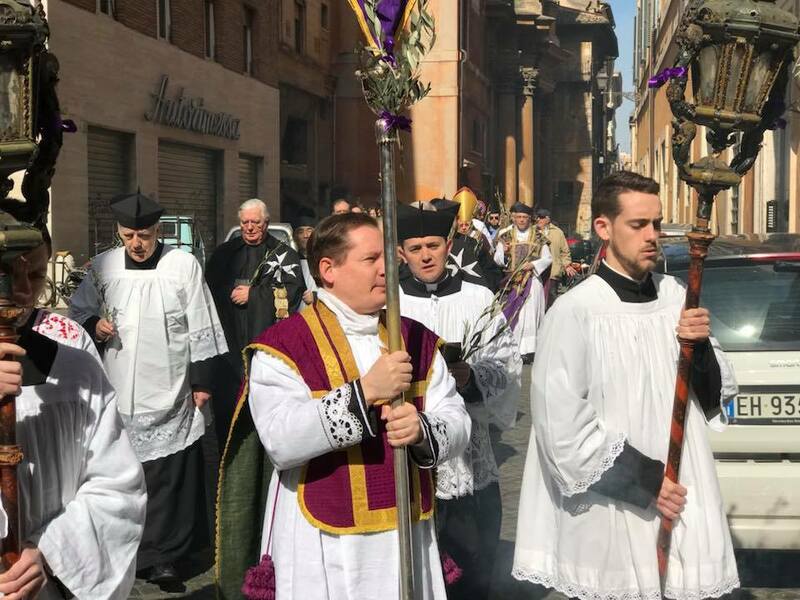 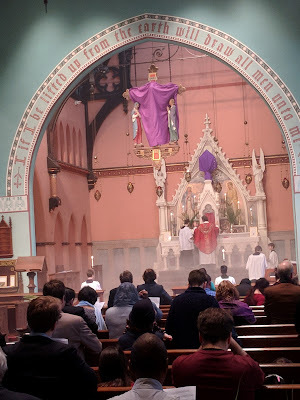 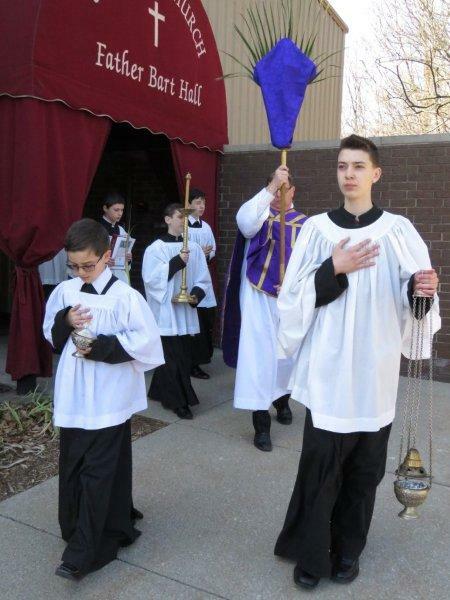 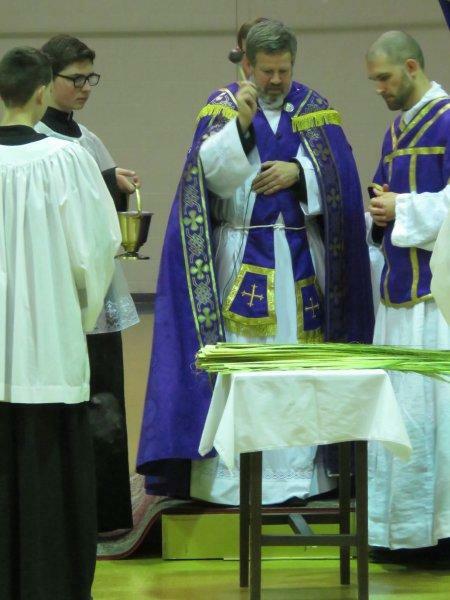 The response to our request for photos of your Palm Sunday liturgies has been pretty remarkable; last year we did two posts, this year we will certainly do at least three. We have quite a mix of things right off the bat, and are very pleased to be able to show the EF in the both the pre- and post-Pian forms, the OF, the Byzantine Rite and the Ordinariate Use, a magnificant expression of our rich Catholic liturgical heritage. 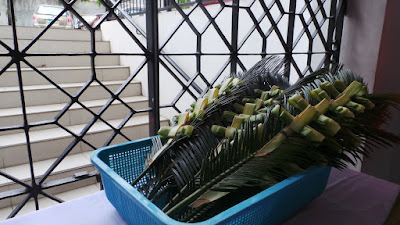 We will have a lot more of the same variety in the days to come! 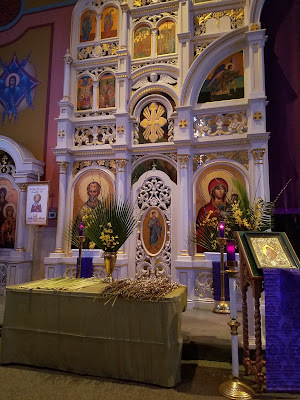 A nice Palm Sunday array, recently restored and stenciled. In the Byzantine tradition, the feast of the Annunciation is always celebrated on March 25, even if that day falls in Holy Week. 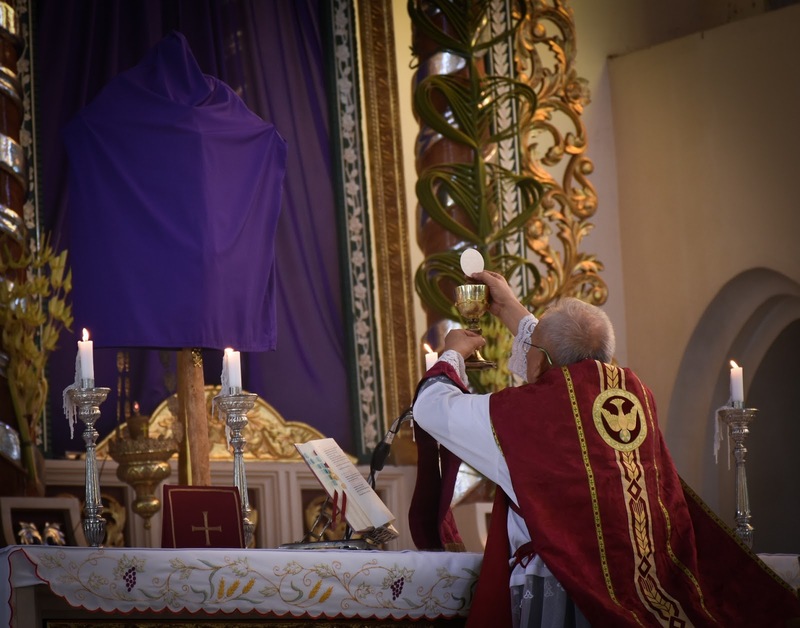 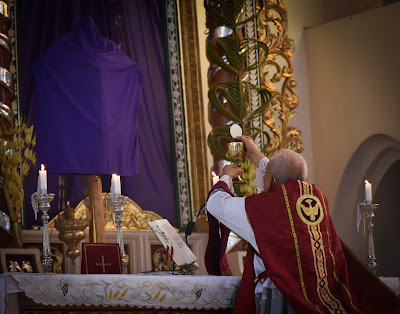 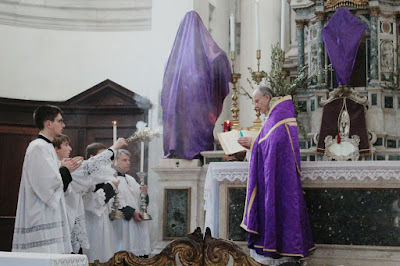 (The structure of the rite is such that the liturgical texts of two days can be merged in a way that would be impossible in any version of the Roman Rite.) 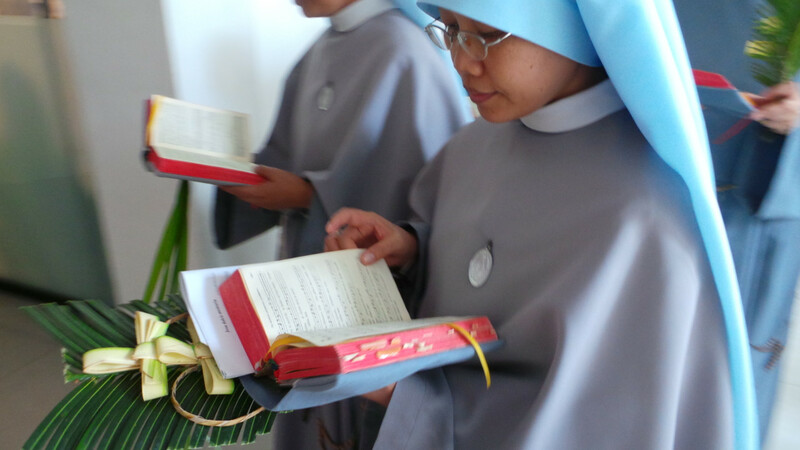 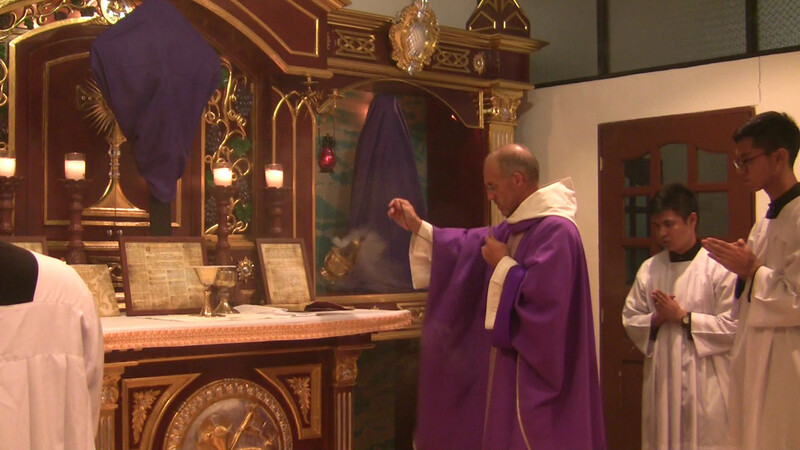 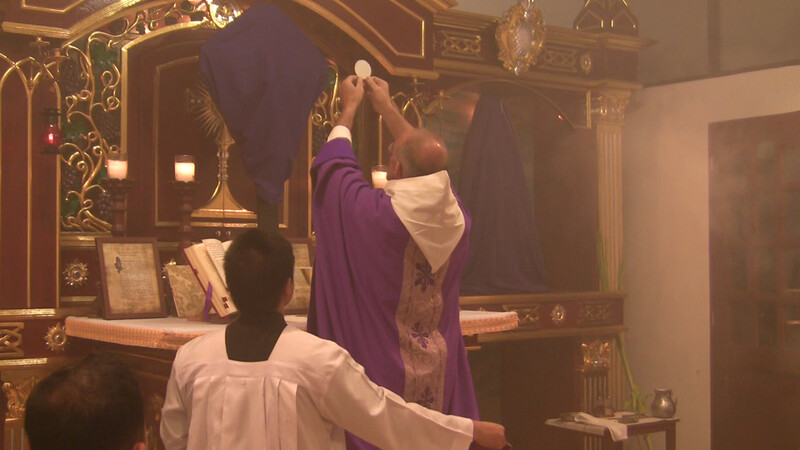 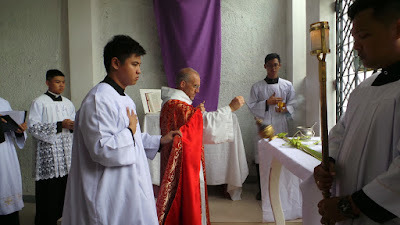 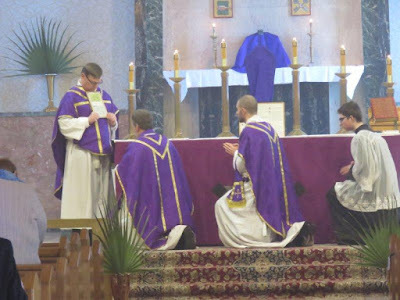 Note therefore the blue Marian vestment worn by the celebrant in the third picture. 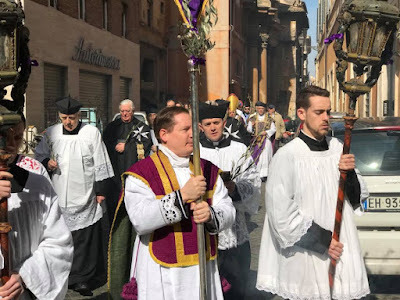 Members of the Confraternity of the Most Holy Trinity of the Pilgrims, which was founded by St Philip Neri to take care of pilgrims to Rome, especially during the Jubilee years.